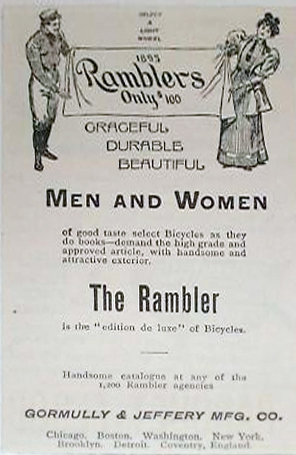 This delightful Ladies Rambler is in excellent original condition …just think, this is a 116-year-old vehicle, and it still has its original paint and is totally usable. 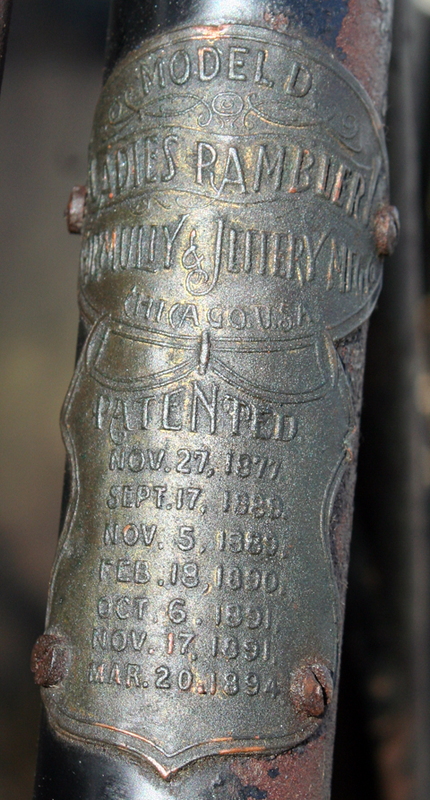 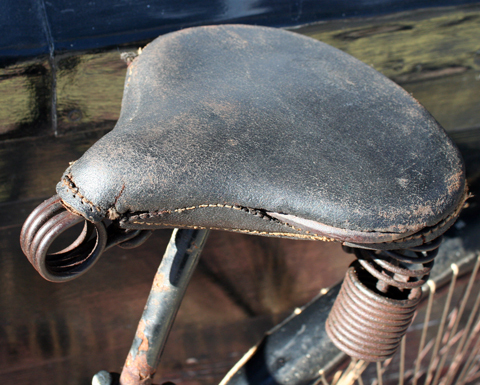 The last patent date – in this case, 1894 – is the year the model was manufactured. 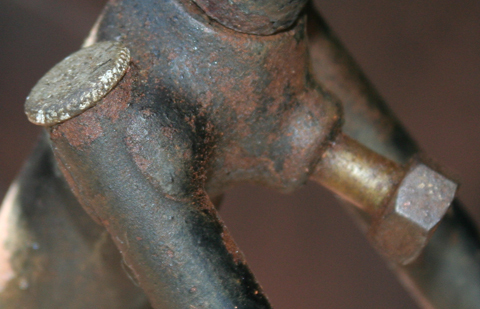 That can be the actual year, or the year prior to, its catalogue appearance. 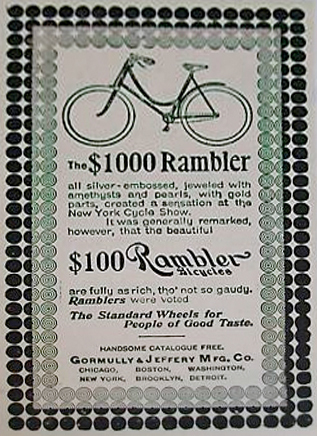 I have an 1893 Gormully & Jeffery catalogue, which illustrates a Model A and Model B. 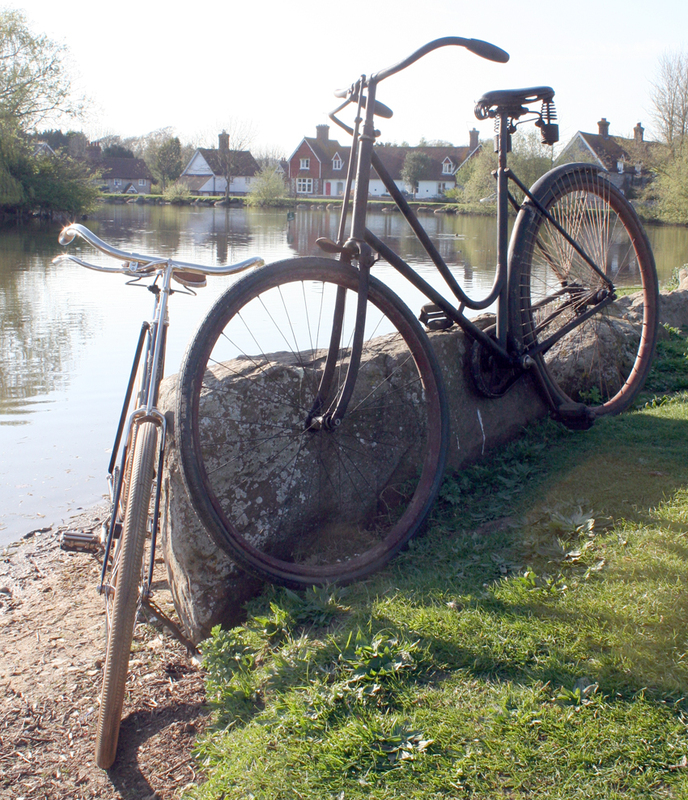 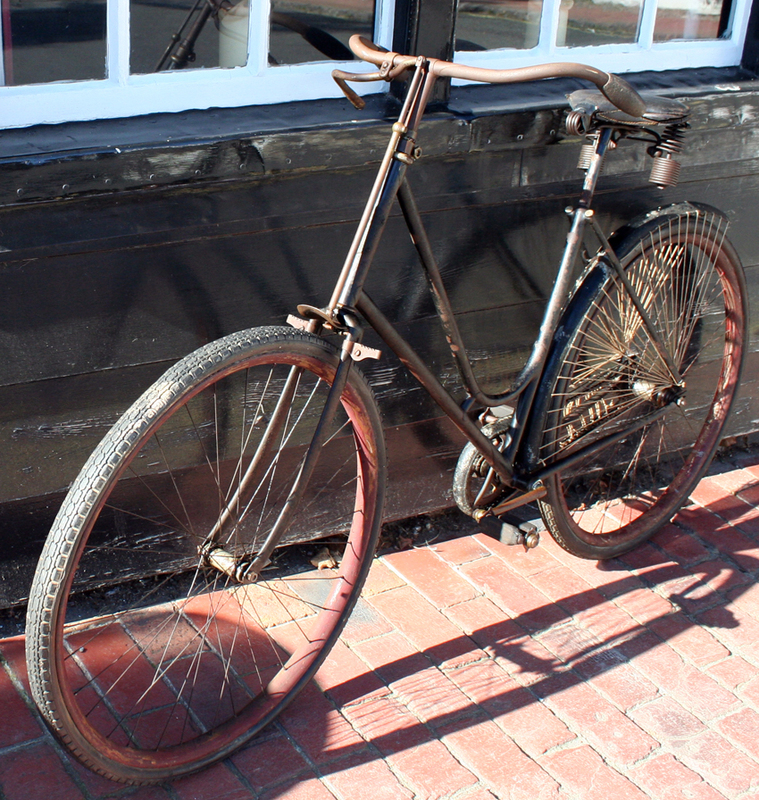 So it’s likely that this Model D is from 1894. 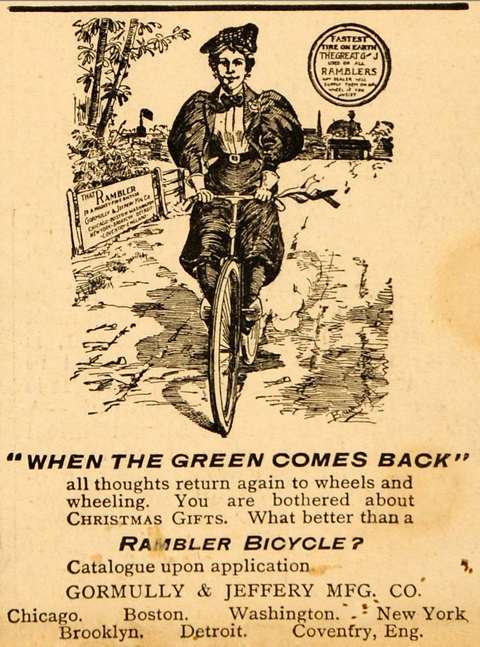 But I’ve not found an 1894 catalogue yet to confirm. 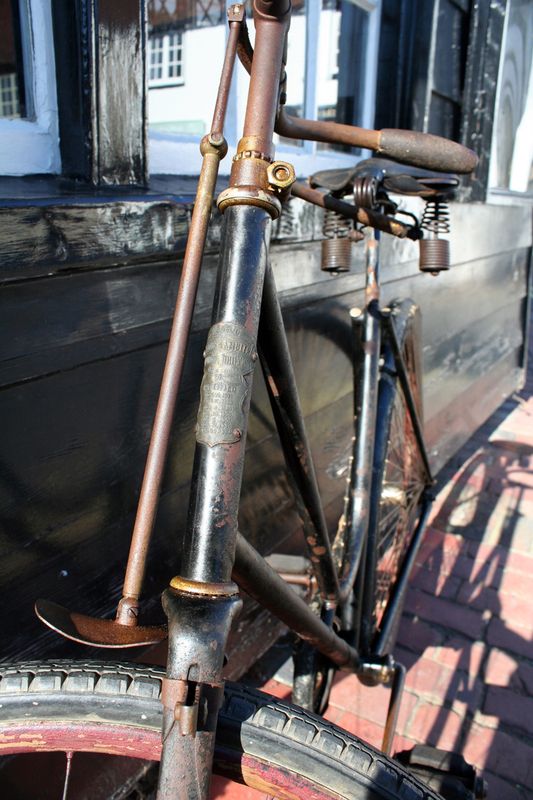 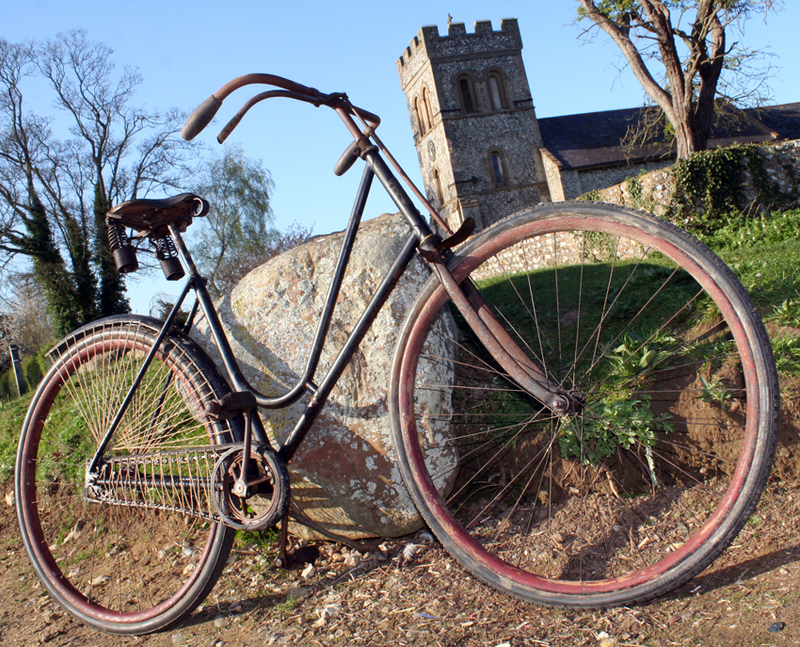 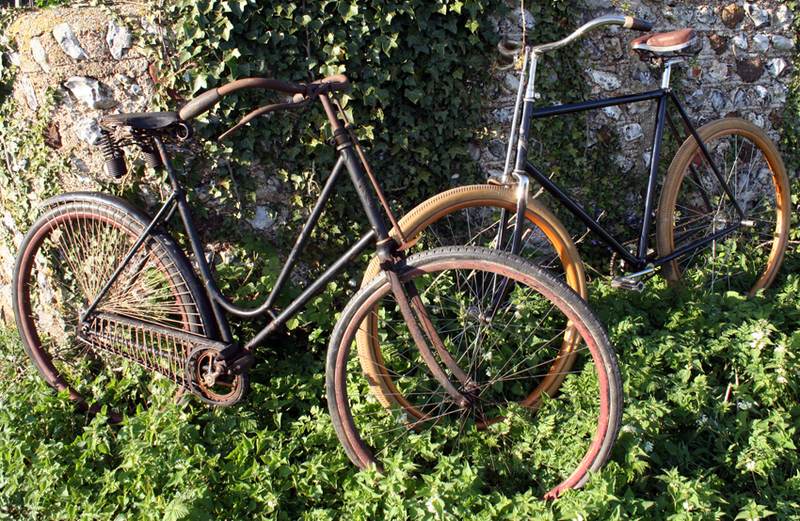 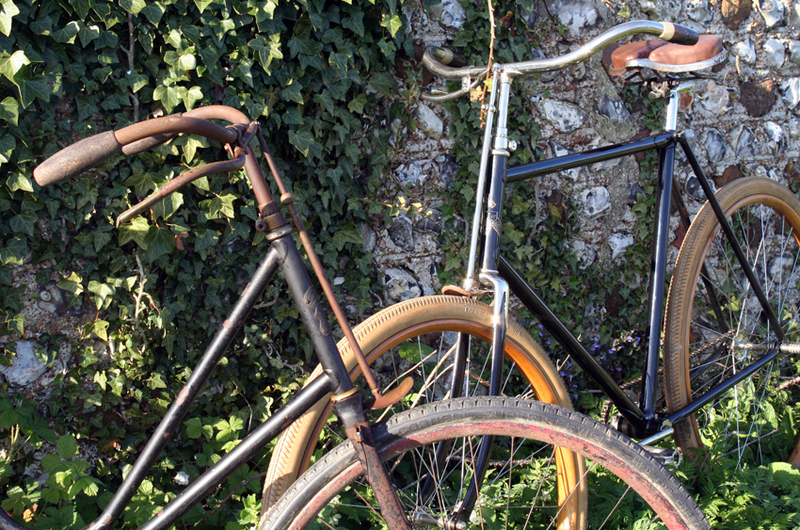 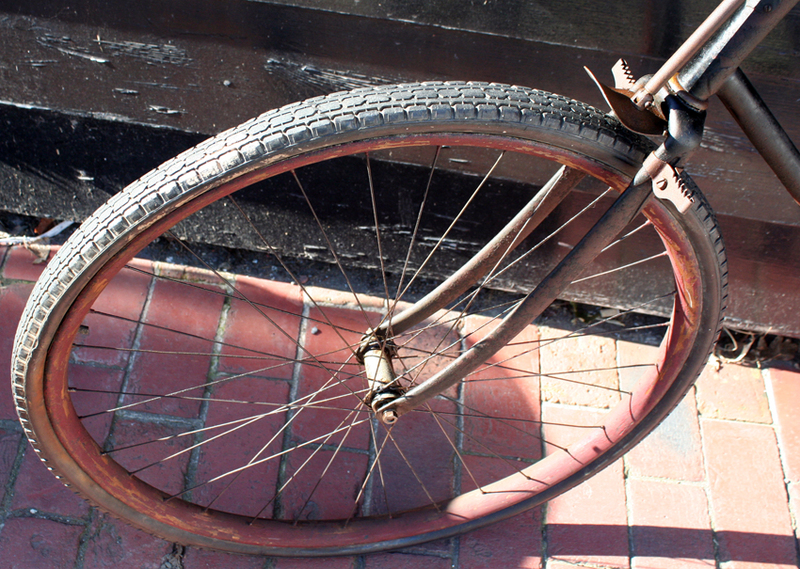 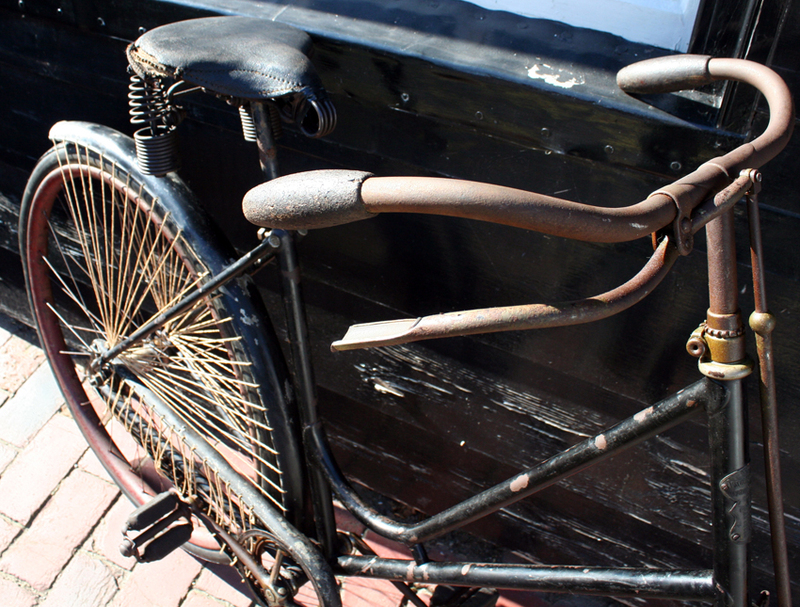 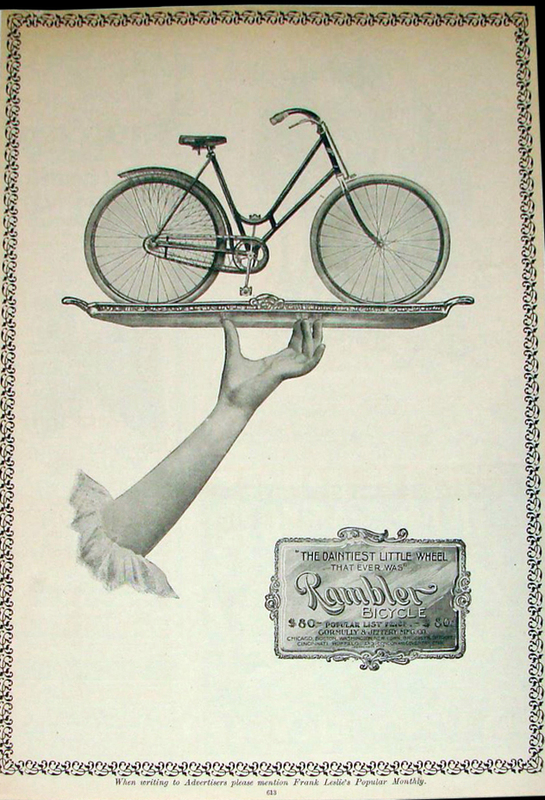 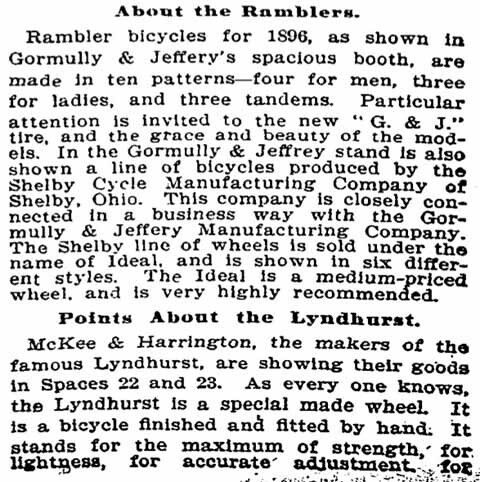 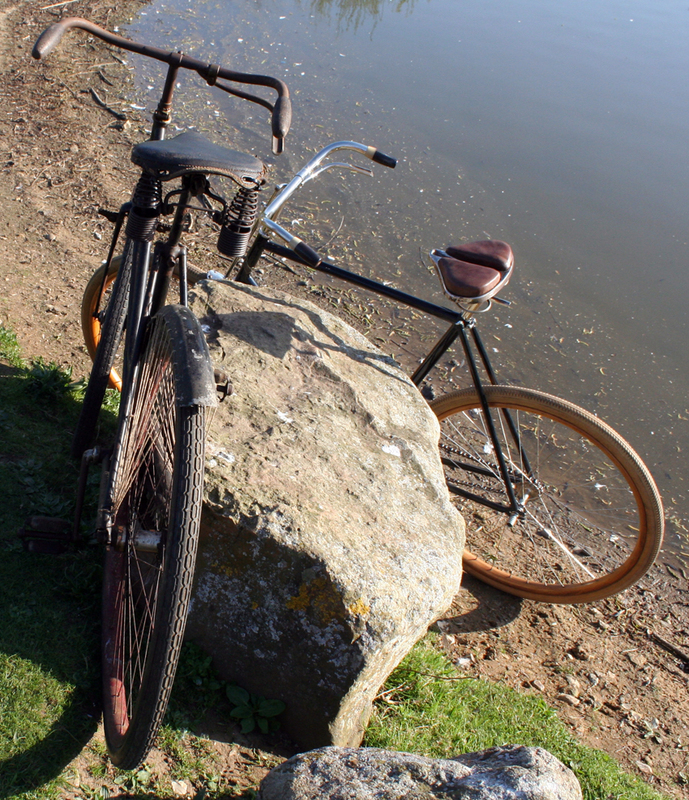 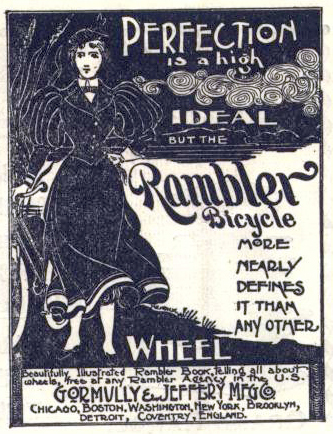 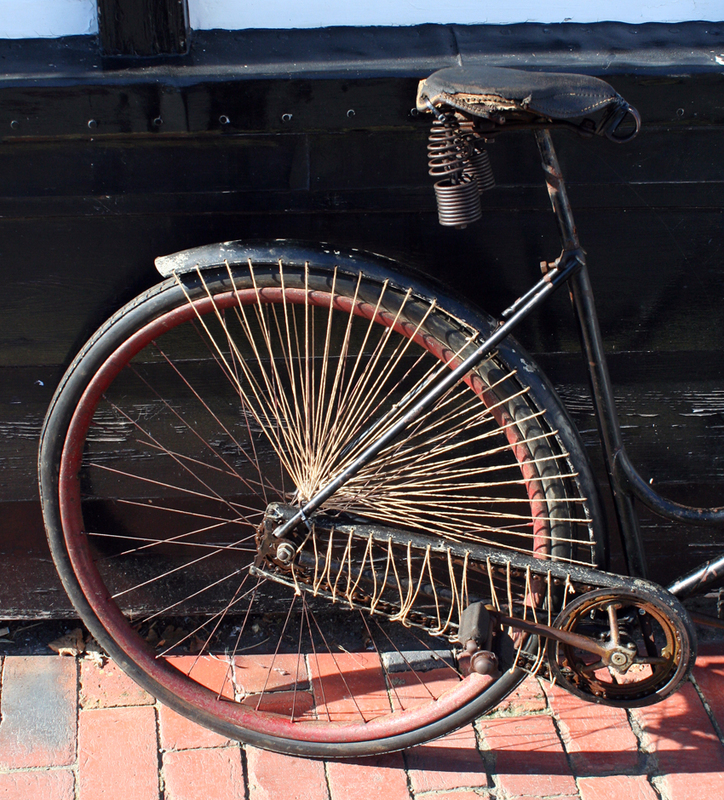 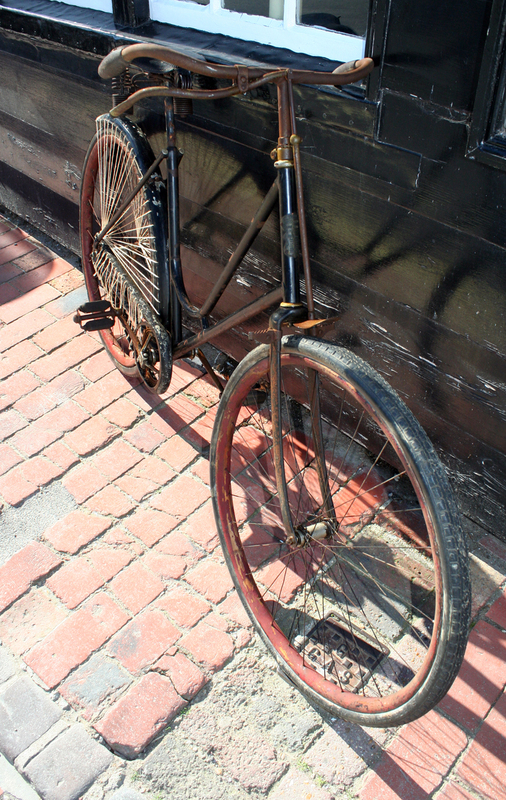 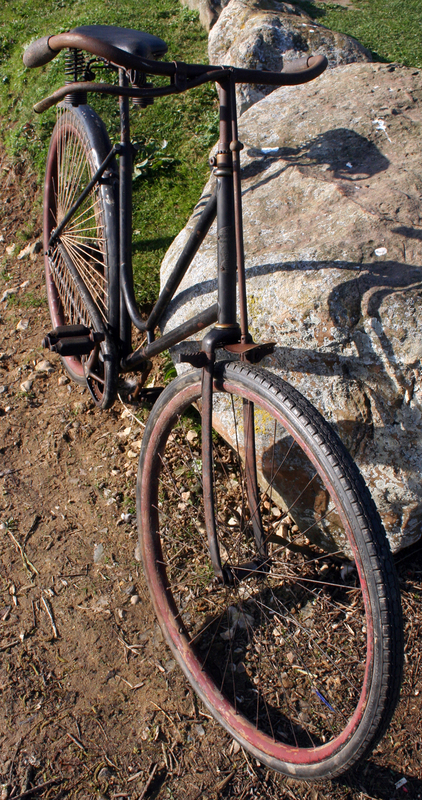 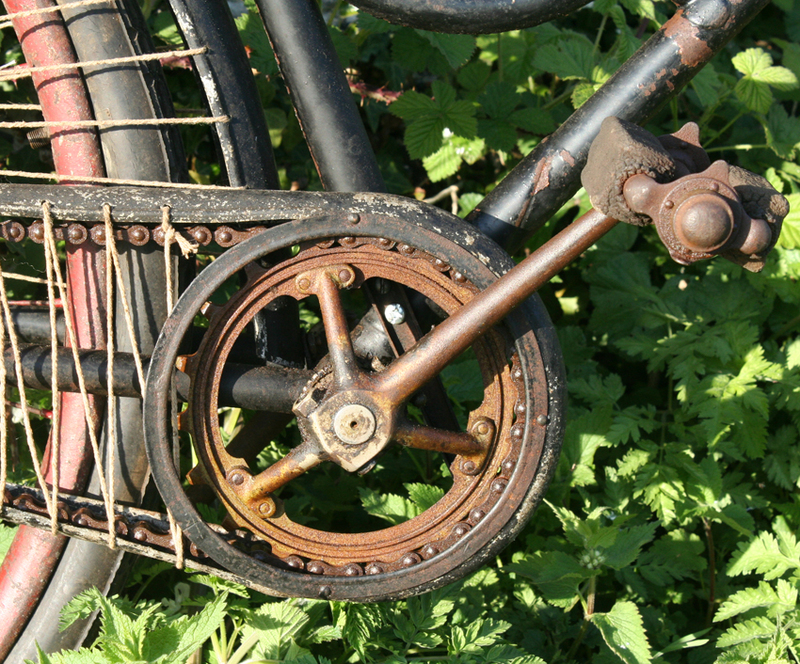 Who wouldn’t want to ride and own so beautiful a wheel as the Rambler Bicycle? 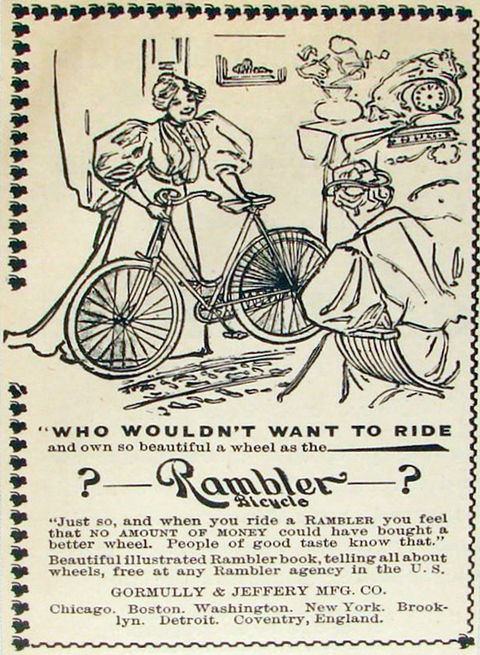 – Just so, and when you ride a Rambler you feel that no amount of money could have bought a better wheel. 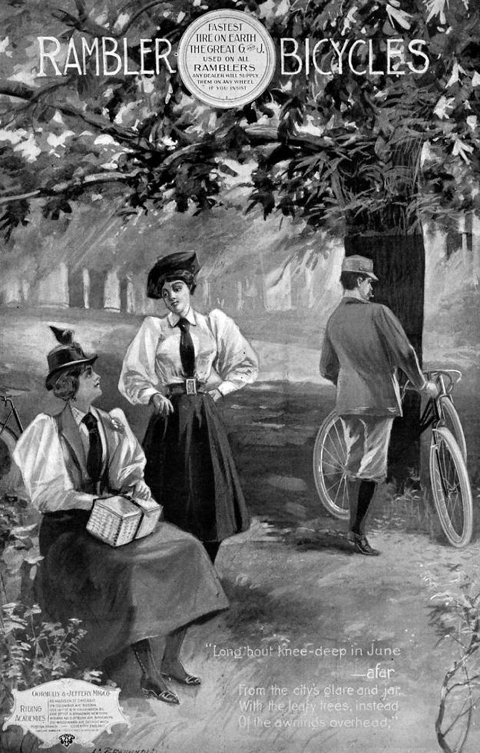 People of good taste know that. 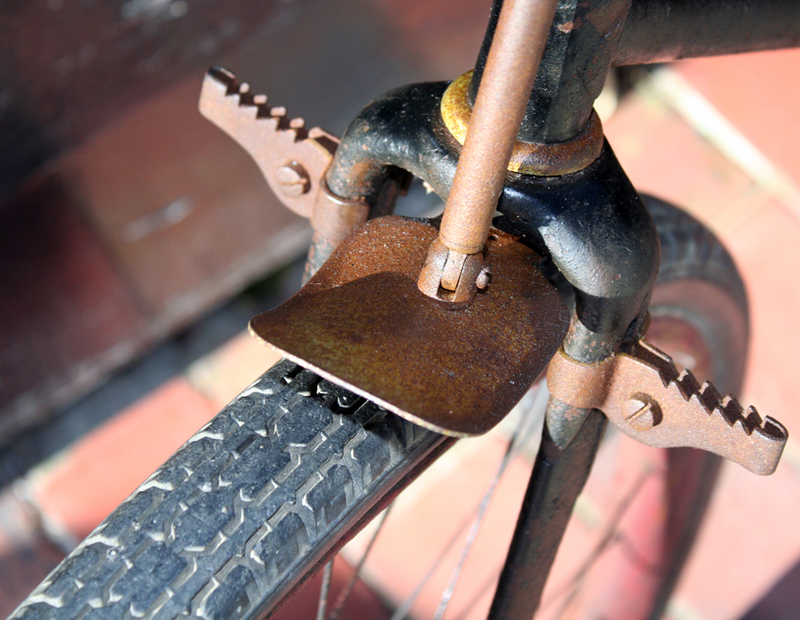 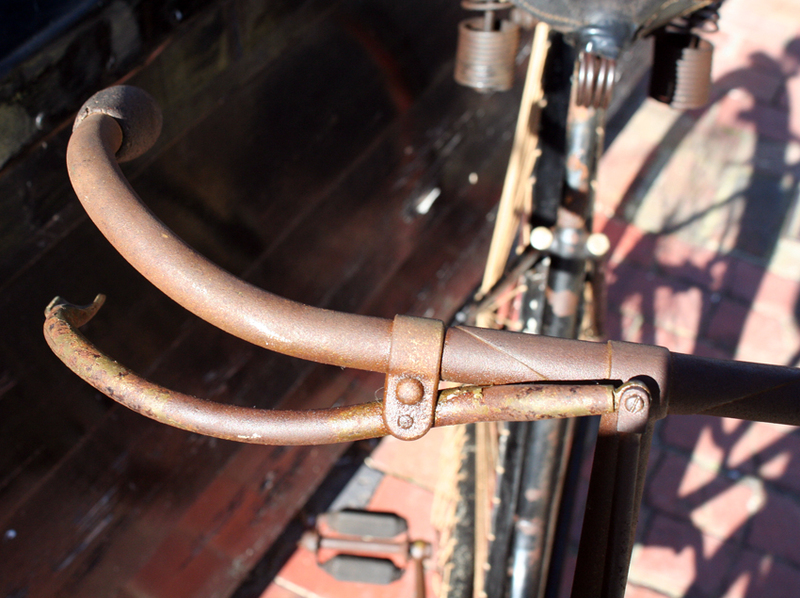 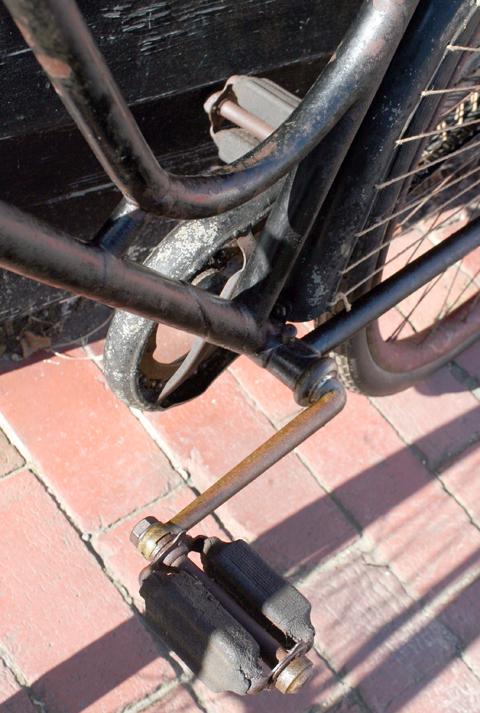 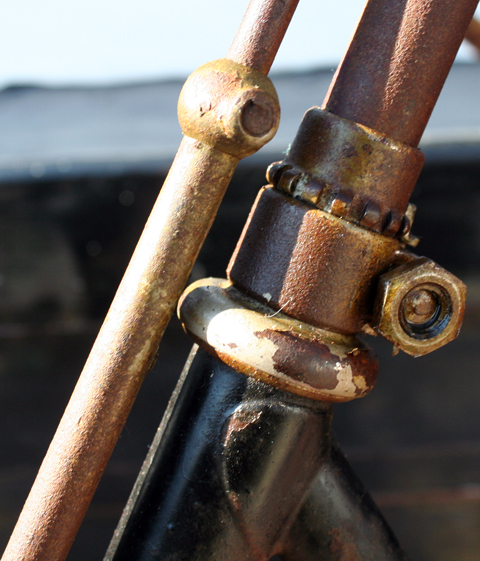 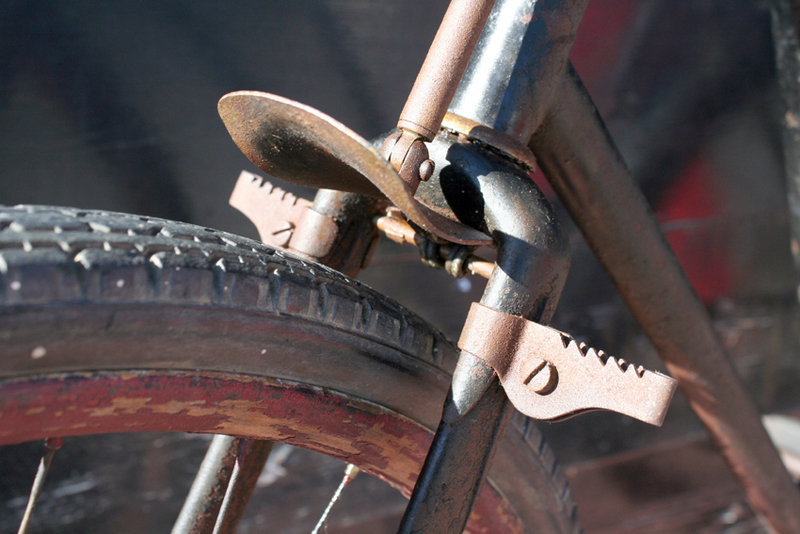 The string skirt-guard not only forms part of the chaincase (above) but also substitutes for rear mudguard stays (below). 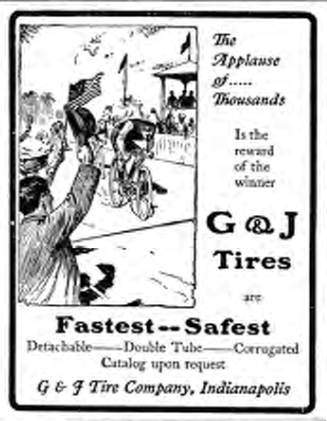 The tyres are 28 x 1 1/2 pneumatic single tube type: the inner tube is built into the tyre, and they are glued onto the rim.